High Court Judicature at Allahabad has recently issued Recruitment Advertisement of Various Group C & Group D Vacancies. There are total 3495 Junior Assistant, Stenographer & Other Group D Vacancies. Applicants who are looking for AHC Vacancy Notification can fill the application form for Allahabad High Court Recruitment 2018. Mode of Submit Application form for Allahabad HC Vacancy through online mode. 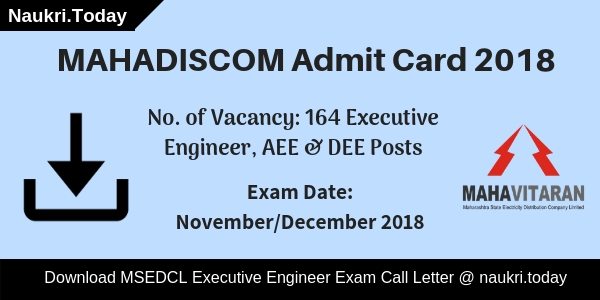 You can apply online application form for Various Group C & D on or before the closing date, that is 26th December 2018. Allahabad HC has declared recruitment notification of 3495 Group C & Group D Vacancies for recruiting qualified candidates. Those applicants who are waiting for Allahabad High Court Vacancy, this is a great job opportunity for them. Submission of Online form for High Court Allahabad Recruitment will start from 06th December 2018. By reading This article candidates can get full information about Allahabad HC Recruitment 2018 like Eligibility Criteria, Pay Scale, Selection Criteria & Other. Fresh Update as on 14.12.2018: Allahabad HC has released notification for recruitment of 3495 Group C & D Vacancy. Applicants those want to apply for Allahabad High Court Recruitment 2018 may apply through online mode. The last date of online registration is 26th December 2018. Allahabad HC Vacancy online form direct link to apply is mention below. Fresh Update as on 10.12.2018: Dear Candidates, Allahabad High Court Group C & DF Vacancy apply online link is now available. Candidates those want to apply for AHC Vacancy can fill the online form till on last date 26.12.2018. The direct link of apply online is mention below. Fresh Update as on 03.12.2018: Allahabad High Court Group C & D Recruitment Online Registration will start on 06th December 2018. The last date of submission AHC Allahabad Jobs application form is 26.12.2018. Applicants those are interested and eligible may apply through online mode to click on direct link, which will activate soon. AM I Eligible For Allahabad High Court Recruitment 2018 – Required Eligibility Criteria For Group C & D Jobs ? What is the Age Limit Required For Allahabad HC Recruitment 2018 ? Education Qualification for Allahabad HC Group D Vacancy 2018 ? How Much Pay Scale will Paid For High Court Allahabad Recruitment 2018 ? What is the Selection Criteria For Allahabad High Court Recruitment 2018 For Group C & D Jobs ? What is the Required Eligibility Criteria For Allahabad High Court Recruitment 2018 – AHC Class 4 Jobs ? How To Check Application Fees, Pay Scale & Selection Criteria For Allahabad High Court Class 4 Vacancies ? How Much Pay Band will paid for High Court Allahabad Vacancies 2018 ? How Can I Fill Application Form For Allahabad High Court Recruitment 2018 – Allahabad HC Class 4 Jobs ? What is the Important Dates to Fill online form for Allahabad High Court Group D Vacancies & Group C Jobs ? Minimum age of the applier for Allahabad High Court Recruitment 2018 should be 18 years & upper age must be 40 years as on 01.07.2018. Relaxation in age is applicable only for reserved category candidates as per Department Norms & regulation for High Court Allahabad Vacancy 2018. AHC Stenographer Vacancy : Graduation Degree with having Diploma/ Certificate in Stenography. For Junior Asst & Paid Apprentice Jobs : Candidates must have passed Intermediate with CCC Certificate issued by DOEACC & Having 25 to 30 words per Minutes Typing Speed in Hindi/ English for Allahabad High Court Junior Assistant Jobs. Driver Jobs : High School passed candidates with having Driving license & experience to drive Four Wheeler not less than 03 years. For Remaining Vacancies : Candidates must have passed junior high School & Having knowledge of respective Field work for applying online form for Allahabad High Court Group D Recruitment 2018. (i). For Post Code No. 01 & 02 : General/OBC Candidates must paid Rs. 500/-+ Bank charges & Other category candidates must paid Rs, 400/- + Bank charges for applying Online form. (ii). For Remaining Post : Rs,. 400/- as application fee paid by General/OBC candidates & Rs. 300/- should paid by SC/ST Category candidates for Allahabad HC Vacancy 2018. Applicants can check Group C & Group D Wise pay scale for Allahabad AHC Vacancy is given here. Department will paid pay band for all selected candidates as per Organization normalization. For Post No. 01 : Rs. 5,200/- to 20,200/- with GP Rs. 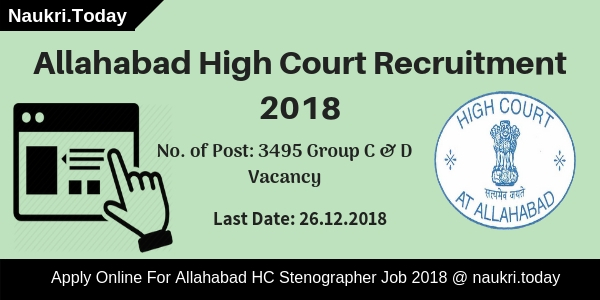 2,800/- will paid for Allahabad High Court Stenographer Vacancy 2018. For Post No. 02 : Selected candidates will paid Rs. 5,200/- to 20,200/- with GP Rs. 2,000/- for HC Allahabad Junior Asst Jobs. Post No. 03 & 04 : Rs. 5,200/- to 20,200/- + Grade Pay Rs. 1,900/- . Post No. 05 to 08 : Candidates will paid pay band Rs. 5,200/- to 20,200/- with grade pay Rs. 1,800/- for AHC Group D Jobs. For Post No. 09 : Candidates will paid Rs. 6000/- per month for this vacancies. Selection of the candidates for Allahabad HC Recruitment 2018 will based on written Exam & Skill Test. Final Selection will based on marks obtain in Exam Scheme. Post wise Selection method for Allahabad High Court Recruitment is shown below & also Check Exam Syllabus from here. According to Department Exam Scheme, First of all, candidates call for Written Examination, which contains 100 Question of total 100 Marks. Exam will consist question of Hindi, English, General Studies & Mathematics Subjects. Total time duration of Exam will be 90 minutes. Candidates should get minimum passing marks for qualifying the examination. After that selected candidates call for other Skill Test. Post wise examination after Written Exam is mention below. After written Examination, Department will not conduct any examination for Group D Jobs. Selection will made on the basis of Written examination for Allahabad High Court Group D vacancies. For more details about Examination & Other you can check from official website or from here. Keep in touch with this page fro more updates about Recruitment & Allahabad HC Admit card. Now Click on Recruitment Section & Click on Official AHC Jobs Notification link. Fill all required details in Allahabad high Court Jobs online form properly without any mistake. Conclusion:– Allahabad High Court Recruitment 2018 for 3495 Group C & Group D vacancies. candidates can fill online form for Allahabad HC Vacancy 2018 on or before the last date 26.12.2018. Hey Candidates Are you looking for Allahabad High Court Recruitment 2018? Allahabad High Court Department has released a notification of 95 Law Clerk Vacancy. Candidates who are interested can fill Application Forms for Allahabad High Court Law Clerk Jobs 2018. Applicants can start to fill Application form 01.06.2018. Last Date for submitting filled Application form till 30.06.2018. Candidates can get more information about Eligibility Criteria & Selection Process from the given article below. Before applying for Allahabad High Court Recruitment 2018 candidates are required to check the Eligibility Criteria. Eligibility Criteria includes the information regarding Minimum Qualification & Age Criteria for For High Court Allahabad Recruitment 2018. Candidates must have three years Professional/ Five Years Integrated Degree in Law from any Law College or from recognized University for Allahabad HC Jobs 2018. Applicants must also have good knowledge about Computer in Data Entry, Word Processing & Computer Operation for Allahabad High Court Recruitment 2018. For more information candidates can check the High Court Allahabad Law Clerk Vacancy Official Notification pdf. Candidates must have attained the minimum age of 21 years old for Allahabad High Court Vacancy 2018. Maximum age should not be more than 26 years old for High Court Allahabad Law Clerk Jobs. Age Relaxation is also available according to Government Rules. Candidates who are applying for Allahabad High Court Recruitment 2018 have to pay Rs 100/- as Application Fees. For Allahabad High Court Law Clerk Jobs 2018 Applicants are allowed to pay through bank draft drawn in favor of Registrar General, High Court of Judicature at Allahabad. Selection of Candidates for Allahabad HC Bharti 2018 will be base on Interview. The candidates for interview will be called only after screening. No T.A. will be payable for attending the interview for High Court Allahabad Law Clerk Bharti 2018. Candidates who got selected for Allahabad High Court Law Clerk Recruitment will get a good salary. The Allahabad High Court is going to pay Rs f Rs. 12500/- per month with no Dearness Allowance and/or any other allowances for Allahabad HC Bharti 2018. 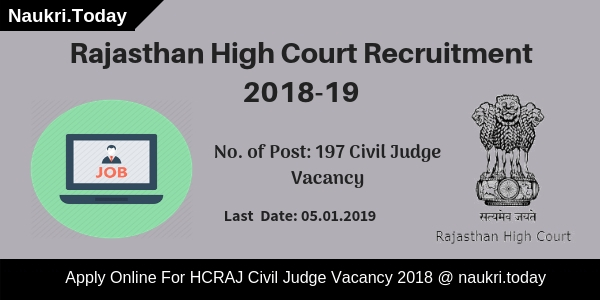 For more information candidates can check High Court Allahabad Law Clerk Jobs 2018. Applicants should registered online before last date for Allahabad High Court Vacancy 2018. Candidates can pay their Application Fee at the time of Application Form submission. Aspirants must download their application form from links given below. Secondly Candidates should search for Recruitment Section at Home page. Now Eligible candidates may download application From from links given below. Applicants should enter their all the details in application Form. Now submit their application their application form. Conclusion : Allahabad High Court Department has released a notification of 95 Law Clerk Vacancies. Candidates who are interested can apply for fill Allahabad High Court Recruitment 2018 Application Forms. Last Date for Submitting Application Forms will be i.e 30 June 2018. Candidates can check the more information about Allahabad HC from links given above. Dear Applicants, Are you searching Allahabad High Court Recruitment 2018? If yes, then here is the latest news for you. High Court of Allahabad has published notification for filling up 48 High Judicial Service Vacancy. Applicants who want to apply for Allahabad HC Jobs may apply online either here or official site. The online registration is already started from 15th May 2018. You can apply online for Allahabad HC HSJ Vacancy till the last date 14th June 2018. Furthermore, information of Allahabad HC Vacancy you require to read given below article carefully. High Court of Allahabad, Uttar Pradesh is inviting online application for recruitment of 48 Judicial Service Vacancy. This is a great opportunity for candidate who wants to apply for Allahabad High Court Vacancy. Interested and eligible candidates can fill online form only for Allahabad HC HSJ Recruitment. The online for is available on official site as well as here. Furthermore, details of Allahabad High Court HJS Vacancy is mention on given article. Before apply online, you must read eligibility criteria, selection procedure, how to apply and other details. Before you are applying for Allahabad High Court Recruitment 2018 candidates must check Eligibility Criteria. Eligibility Criteria contains the information regarding Minimum Education Qualification, Age Criteria and important details. It is important to check Eligibility Criteria otherwise Allahabad HC High Judicial Service Jobs 2018 Application Forms will be cancelled. Candidates must be Advocate and also have 7 years experience standing as on last date fixed for the submission of application forms. Applicants are required to fulfill all the essential information for HC High Judicial Service Vacancy 2018. There are some demanded conditions by Uttar Pradesh Higher Judicial Service Rules, 1975 which is given below. Prosecuting Officers/Assistant Prosecuting Officers are treated to be an Advocate and eligible as per the Judgement of Hon’ble Supreme Court in Civil Appeal No.561 of 2013. The admission of candidates at every stage of examination will be purely provisional subject to satisfying the prescribed eligibility conditions. Furthermore information check Allahabad High Court Recruitment Notification. The Department will be calculating Age Criteria for Allahabad High Court HJS Job 2018 from first day of January 2019. Candidates must have minimum 35 years age limit for Allahabad High Court Vacancy 2018. Maximum age limit should not be more than 45 years old. Applicants can Age Relaxation which shown below as per rules of Government. Participants who belong to SC/ST and OBC category of UP State their age relaxation will be of 03 years for Allahabad High Court Bharti 2018 respectively. SC/ST and OBC category candidates have to show Caste Certificate and Domicile Certificate of Uttar Pradesh as per rules and regulations. Furthermore information check Allahabad High Court Notification 2018. Candidates who are applying for Allahabad High Court Vacancy 2018 have to pay application Fees. Participants can deposit the Application Fees through online/Offline mode to any branch of State Bank of India (SBI). Candidates make sure that once Application Fees has deposit the department will not going refund the Fees amount. Application Fees are shown below according to category for Allahabad HC High Judicial Service Job 2018. For more information candidates can check Allahabad High Court Recruitment 2018 Notification. Candidates are going to select on base on Written Examination for Allahabad High Court Recruitment 2018. Written Exam has two phrases i.e Preliminary Exam & Main Exam for Allahabad HC High Judicial Service Job 2018. Firstly candidates have to appear for Preliminary Exam for Allahabad High Court HJS Bharti 2018. Candidates who qualify pre exam will be allowed for Allahabad HC Vacancy 2018 Main Exam. For more details candidates can check Allahabad High Court Bharti 2018 Notification. Allahabad High Court Department will offered a good amount of salary to candidates who are applying for Allahabad High Court HJS Recruitment 2018. Selected candidates will get Rs 51550­-1230-­58930­-1380-­63070 with other allowances for Allahabad High Court HJS Bharti 2018. Candidates who want to fill Application Form for Allahabad HC Vacancy 2018 can check the easy steps which are mentioned below. At Homepage search for Allahabad HC Recruitment 2018 Notification pdf. Applicants must require reading Allahabad High Court HJS Job 2018 Notification carefully. Candidates must fill up Allahabad HC High Judicial Service Bharti 2018 Application Form. Upload the scanned colored photograph & Signature in Allahabad High Court Recruitment 2018 Application Form. Then recheck Allahabad HC High Judicial Service Recruitment 2018 Form. Deposit Allahabad High Court Vacancy 2018 Application Fees. Candidates must take out the print of Allahabad High Court HJS Recruitment 2018 Application Form for future use. Conclusion : Allahabad High Court Recruitment 2018 has been announced for 48 vacancy of High Judicial Service . Eligible candidates can fill the application form for Allahabad HC Job 208 before last date i.e 14.06.2018. You can collect full details of Allahabad High Court Vacancy on above article. Dear Applicants, High Court of Allahabad has now released recruitment notification of 91 Sweeper, Cook & Other Call IV Vacancies. All the candidates who are interested in Allahabad High Court Recruitment 2018 can fill the application form in prescribed format from here. Closing Date of submits Allahabad High Court Class 4 Jobs Application form is 26.02.2018. Rest of the details about Allahabad HC Vacancies you can check from below article. Allahabad High Court is inviting application form for filling up 91 Sweeper, Cook & Other Vacancies. Submission of application form Allahabad HC recruitment has been started from 06.02.2018. This is a great job opportunity for all the candidates who are searching Allahabad High Court Jobs 2018. Appliers must check required eligibility criteria before filling an online form. More information about Education, Age, application Form 7 selection criteria for high Court Allahabad Jobs is mention in below section. In the below section we are providing Post & Category wise division of Allahabad High Court Sweeper Jobs 2018. You can also get more information about Allahabad HC Jobs from official notification. Applicants who are going to fill application form for Allahabad HC Vacancies 2018 must check required eligibility criteria for class 4 Jobs from here. in this section we are providing education & Age Criteria required for Allahabad HC Sweeper Recruitment 2018. Candidates must have passed Calls V From any recognized Institute. Applicants must have work experience in respective field for Allahabad HC Vacancies 2018. Minimum age of the candidates for Allahabad High Court Recruitment 2018 must be 18 years & Maximum age should be 35 years as on 01.07.2018. relaxation in age for High Court Allahabad Vacancies is applicable up to 05 years for SC/ST/BC Category & for other category you can check from official notification. Candidates of General & OBC Category must paid Rs. 300/.- as application fees for Allahabad High Court Recruitment 2018. Other category candidates like SC/St must paid Rs. 200/- for filing Class 4 Application form. Fees must be deposited through Demand Draft in favour of Registrar General, High Court of Judicature at Allahabad, payable at Allahabad. Selected candidates for Allahabad High Court Vacancies will paid a good salary as per department norms. After Joining, Applicants will paid Rs. 5,200/- to 20,200/- with grade pay Rs. 1,800/- per month for Allahabad HC Sweeper Jobs & Other. Selection of the candidates for Allahabad High Court Recruitment will based on Experience & Interview. More details about Selection you can collect from Allahabad HC Jobs Notification. Candidates who are interested & eligible for Allahabad HC Recruitment 208 can fill application form here till the last date. Follow the given steps which is helpful for filling application form for Allahabad High Court Vacancies. First of all candidates log on to the official website www.allahabadhighcourt.in. Now click on News section & click on official High Court Allahabad Jobs Notification. Read all the information mention in notification properly. Now click on Download Application Form for respective Posts. Take print out of application form of Allahabad High Court Jobs. Fill all details in form properly. Attach Photo & other documents with application form. Now send the application form on correct postal address. Conclusion – Allahabad High Court Recruitment 2018 For 91 Class 4 vacancies. candidates can fill application form for Allahabad HC recruitment on or before the last date 26.02.2018. Check more details by reading the above article.